Maverick director Ram Gopal Varma steps out with sensational concepts that can create enough controversies. His recent outing Lakshmi's NTR is making enough noise in Telangana. But the film's content and direction have been badly criticized. 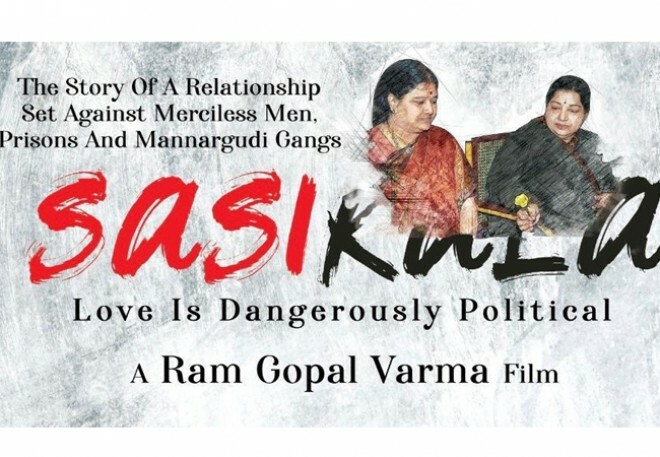 Before the film released in AP, Ram Gopal Varma made one more sensational announcement that he would narrate the life story of Sasikala, the close aide of Tamil Nadu ex-Chief Minister Jayalalithaa. RGV took his official social media handle and released a poster about the film. 'Love is Dangerously Political' says the film's caption. Ram Gopal Varma is yet to announce other updates about the actors and the production house. Earlier before to this, a bunch of biopics on Jayalalithaa have been announced. We have to wait to see if RGV creates a sensation with the film or if he faces speed breakers from the people of Tamil Nadu.